Vegan Friendly, Gluten free, Lactose free, and 99% Sugar free. 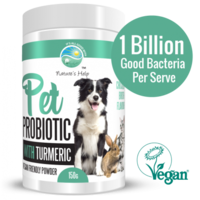 Organic Probiotic Formula with 100% Bio-fermented Turmeric, Ginger and Black Pepper. The above ingredients are processed in a probiotic fermentation plant that ultimately changes the structure of the ingredients that create a complex mix of highly available bioactive compounds. 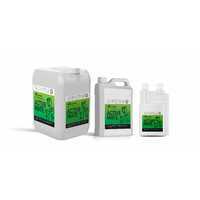 Made from 100% natural ingredients, without the use of herbicides, pesticides or chemical fertilisers. No artificial preservatives, colouring, stabilisers or food acids added. 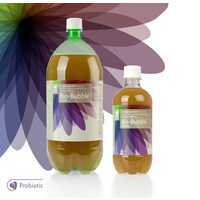 33 Concentrated servings Note: a jelly substance or sediment from the probiotic may appear. This is normal and can be consumed. 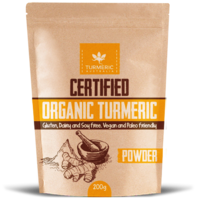 Turmeric (Curcuma longa), the main spice in the Indian dish curry, is arguably the most powerful herb on the planet at fighting and potentially reversing disease. 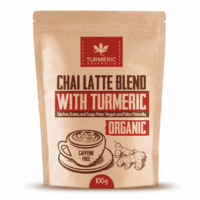 Turmeric benefits include so many healing properties that currently there are over 10,000 peer-reviewed articles published proving turmeric benefits, especially one of its renowned healing compounds, curcumin. This puts turmeric on top of the list as one of the most frequently mentioned medicinal herbs in all of science. The next most popular studied herbs include garlic, cinnamon, ginseng, ginger and milk thistle. Click here for three amazing turmeric recipes to help you introduce the super herb into your daily diet! Turmeric comes from the Curcuma longa plant, which grows in India and other Southeast Asian countries. 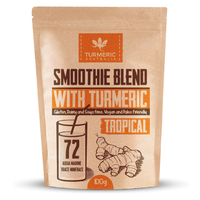 The dried root of the Curcuma longa plant is ground into the distinctive yellow turmeric powder. There are several chemical compounds found in turmeric, known as curcuminoids. The active substance in turmeric is curcumin. Of the 10,000+ studies referencing ≈, the most interesting finding is that when it’s compared to conventional medicine, turmeric benefits equal that of many pharmaceutical medications. In fact, a number of studies have even reported that using curcumin is more advantageous than certain prescription drugs. Areas of Your Health that Curcumin Benefits May Apply? Now let’s jump deeper into the research on turmeric benefits at potentially reversing specific diseases. Although the list is much longer, we’ve selected 12 conditions and their treatments where drugs pale in comparison to turmeric extracts, in potentially reversing disease. As you read this report, keep in mind that one of the most powerful advantages curcumin has over the traditional medical approach is the lack of side effects. Turmeric, on the other hand, has relatively no known side effects unless taken in extremely excessive amounts. Although few studies have been conducted on humans, dozens of research trials have proven that turmeric benefits include being especially effective in correcting depression symptoms in laboratory animals. Not only was it discovered that all patients tolerated curcumin well, but they discovered curcumin was as effective as Prozac in managing depression. Arguably, the most powerful aspect of curcumin is its ability to control inflammation. This news should have reached every household in the world after the study was conducted because inflammation puts people at risk for almost every disease process known to man. Diseases today such as cancer, ulcerative colitis, arthritis, high cholesterol and chronic pain can be the result of inflammation. As you will see below in several other articles related to chronic illness, keep this in the back of your mind: Turmeric’s key to disease reversal may be its ability to keep inflammation at bay. Turmeric benefits include anti-inflammatory and antioxidant properties that have proven effective in treating skin conditions. Turmeric benefits for skin include speeding up wound healing; calming the pores to decrease acne and acne scarring; and controlling psoriasis flares. (6) Try my Turmeric Face Mask for Glowing Skin. Turmeric can stain the skin and it may cause an allergic reaction. Do a patch test by applying a dime-size amount to your forearm. Then wait 24–48 hours to check for any reaction before applying turmeric to your face. Because curcumin is known for its powerful anti-inflammatory and pain-reducing characteristics, a study was conducted on 45 rheumatoid arthritis patients to compare the benefits of curcumin in turmeric to the arthritis drug Diclofenac sodium, which put people at risk of developing leaky gut and heart disease. The curcumin group showed the highest percentage of improvement in overall [Disease Activity Score] scores and these scores were significantly better than the patients in the diclofenac sodium group. More importantly, curcumin treatment was found to be safe and did not relate with any adverse events. Our study provides the first evidence for the safety and superiority of curcumin treatment in patients with active RA, and highlights the need for future large-scale trials to validate these findings in patients with RA and other arthritic conditions. A number of laboratory studies on cancer cells have shown that curcumin does have anticancer effects. It seems to be able to kill cancer cells and prevent more from growing. 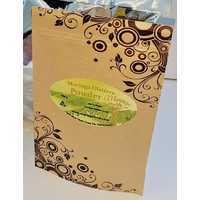 It has the best effects on breast cancer, bowel cancer, stomach cancer and skin cancer cells. Food-based botanicals have the potential to restore a healthier gene expression in patients but without the toxicity of certain drugs. Bottom line: Turmeric benefits include working incredibly well to help naturally treat cancer as well as breast cancer, colon cancer and skin cancer. It may also help with chemotherapy resistance in patients with PDAC. For lowering blood sugar and reversing insulin resistance, there’s arguably no better natural treatment than adding turmeric into your diet. In 2009, Biochemistry and Biophysical Research Communications published a study out of Auburn University that explored how supplementing with turmeric can help reverse diabetes. (11) The study discovered that curcumin in turmeric is literally 400 times more potent than Metformin (a common diabetes drug) in activating AMPK which improves insulin sensitivity which can help reverse Type 2 Diabetes. In addition to correcting the causes of diabetes, curcumin has also been proven to help reverse many of the issues related to insulin resistance and hyperglycemia. Oftentimes, people with digestive and stomach complaints become intolerant to medical interventions because the stomach flora is already compromised and drugs can literally tear up the mucosal lining. However, supplementing with curcumin did not have these side effects and, because of its anti-inflammatory properties, actually helped heal the gut and supported the growth of good bacteria (probiotics). One of the reasons heart disease is such a problem in the U.S. is that people are developing pre-diabetes (high blood sugar) at an alarming rate. In turn, diabetics and non-diabetics alike are suffering from a common complication called oxidative stress, which damages the inside of blood vessels. Because of this damage to the arteries, cholesterol begins to build up to patch up the damaged areas, which leads to high levels of LDL cholesterol. Traditionally, statin drugs (like Lipitor) are widely known to harm the kidneys and liver and cause a number of deadly side effects. They do bring cholesterol down, but they never address the actual cause, which is oxidative stress that is caused by high blood sugar levels and inflammation. Thankfully, medical doctors are becoming more and more aware of the dangerous side effects of statin-drugs and prescribing natural alternatives like curcumin and fish oil instead. Studies like these are leading pharmaceutical companies to try to design a synthetic form of curcumin that, unfortunately, will not work as well as the real thing. One of the more widely accepted properties of curcumin in scientific communities is its ability to manage pain. Not being limited to diabetic pain conditions, an interesting study also published late last year gives us a clue as to the wide array of pain conditions that can be treated by curcumin. The trend should be becoming clear at this point. Therapeutic use of turmeric and other curcumin-rich plants are displacing conventional medical treatments and proving it’s a legitimate natural painkiller. In a 1999 breakthrough clinical study, it was found that curcumin has the ability to cure chronic inflammation of the eye. (19) Typically this condition was only treated with steroids, but today it’s common for medical doctors who practice functional medicine to prescribe curcumin instead. What cannot be overstated, however, is that although statistically “comparable” to steroids in managing and reversing chronic disease, “The lack of side effects with curcumin is its greatest advantage compared with corticosteroids,” as stated by the authors in the above study out of K.G. Medical College. Ultimately, when taking into account the large amount of deadly complications these drugs put your body at risk for, it is easy to see how taking therapeutic curcumin is superior to most medicines. People taking certain medications should also be careful when using turmeric in their food or supplementing with it. Turmeric may interfere with anti-coagulants like aspirin, clopidogrel and warfarin. It also can affect medications such as non-steroidal, anti-inflammatory drugs. As with any herb or supplement, use as directed. If you’re in the position where you must be on prescription medications, don’t discount the need to include ample amounts of fresh, organic turmeric in your diets because it will help reduce the adverse affects of the medicine. Also, consuming turmeric eggs for breakfast and curried carrot soup is an excellent way to get more turmeric in your diet. Amazingly, anti-arthritic activity and a marked reduction in steroid toxicitywas seen when supplementing with curcumin. At the end of the day, the research speaks for itself and we cannot think of one reason why EVERYONE shouldn’t be taking some form of turmeric every day. 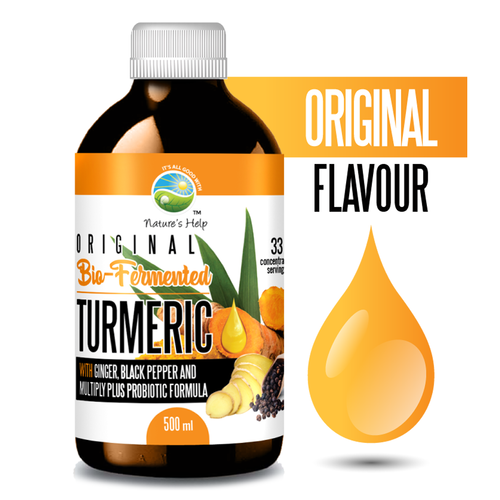 Whether as a supplement or a spice to flavor your food, you will certainly be satisfied with turmeric benefits for your body! So, how do you take turmeric? Along with adding turmeric into your diet, you may also consider taking it or curcumin in supplement form. I personally recommend consuming a CO2 extracted form of turmeric. Help other Plant Doctor Pty Ltd users shop smarter by writing reviews for products you have purchased. Bio-Bubble ...is a fizzy, fermented probiotic powerhouse!